I love the term “silent sports.” It embodies what I treasure most about outdoor activities. Human powered, surrounded by nature, testing one’s physical strength and endurance, going the distance. My day isn’t complete without an hour or more spent engaged in this pursuit. When the snow fell yesterday, I couldn’t wait to get out in it. Six inches of fluffy new powder lay on the ground, and I knew the ski trails would not yet be groomed. But for once I actually preferred it that way. Admittedly, I had new waxless classic skis I wanted to try out, but I was also anxious to just get out in the deep new snow. Cross-country skiing undoubtedly qualifies as a silent sport. But skiing the untamed fresh snow brings it to the pinnacle of silent. 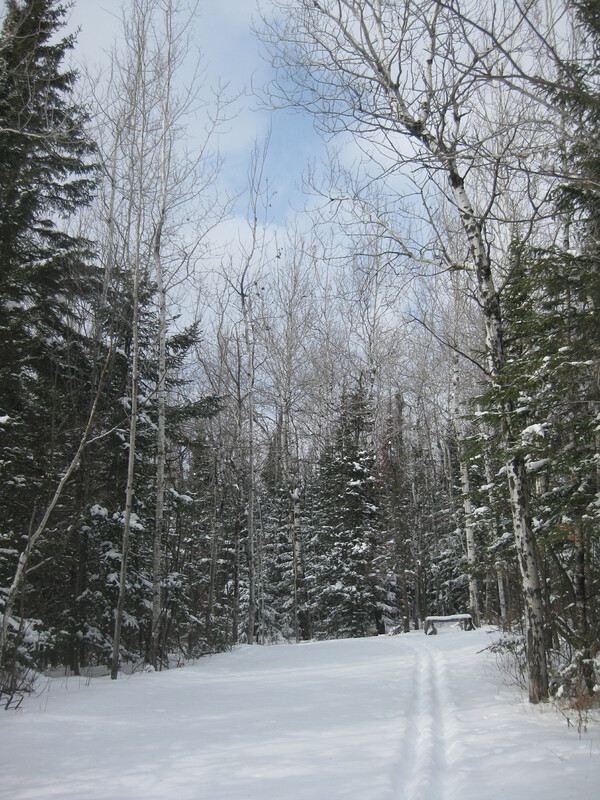 Normally my skis would swish over the groomed trail with a satisfying sound that testified to a long glide. My poles would make squeaky complaints as they pierced the snow and angled against the crust until they were released for the next plant. Natural sounds, yes, but noisy in their own way. The fresh layers of snow muffled all those sounds. Those that had skied before me were long gone, leaving only a vague trace. My skis slid quietly through the downy snow and although I made slow progress over the hidden tracks it was deeply satisfying. There was no need to hurry, no urge to push to the max, no impulse to get in a good workout. Just plowing through the snow was enough. 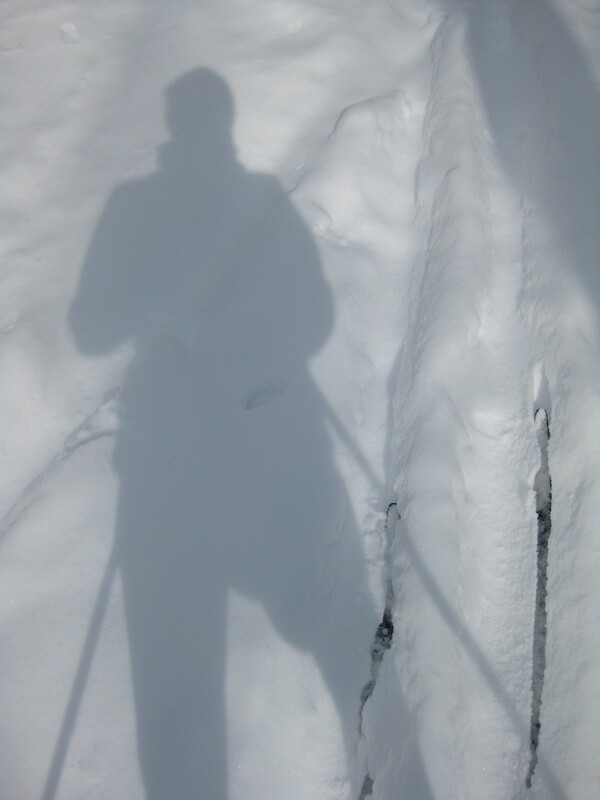 My poles too were muted as they stabbed the soft snow, gaining just enough purchase to help propel me forward. The woods lining the trails were equally muffled. The pine boughs were layered with snow and the ground under the trees was blanketed by the snowfall. Any noise I managed to make was immediately absorbed by my surroundings, as if it had never existed. It was a world shrouded in stillness. All it took was six inches. Half a foot of fresh white snow to transform a silent sport into a super silent one. I relished every bit of it. 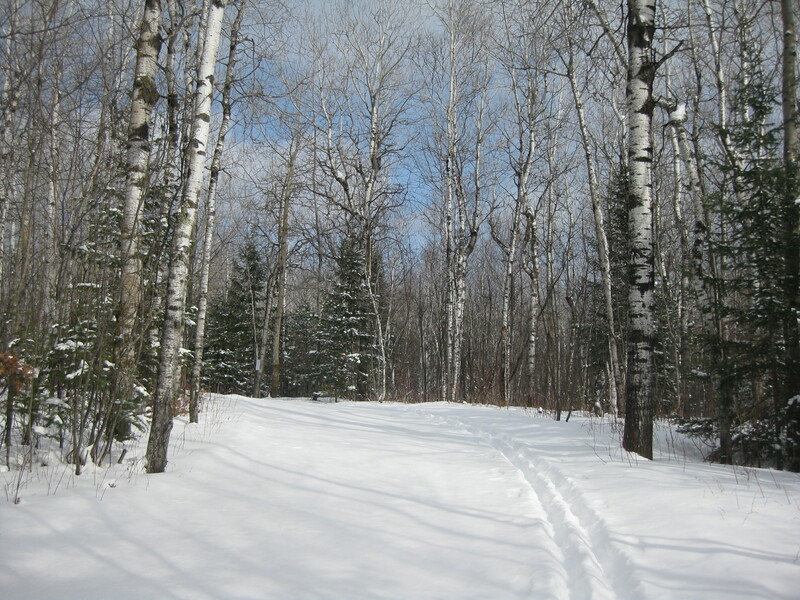 This entry was posted in Outdoors and tagged Cross-Country Skiing, Outdoors, Snow by Molly. Bookmark the permalink.